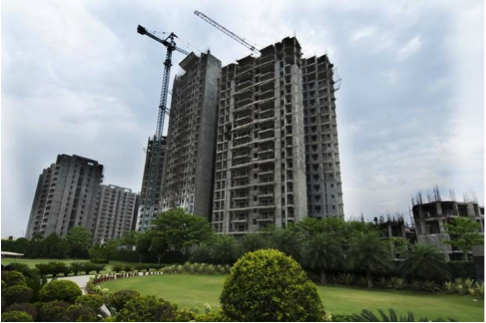 Affordable Housing is the current buzzword in Indian Realty. Homes costing anywhere from 7 lakhs to 35 lakhs INR depending on the city, and number of BHK, are springing up in every metro, city and town of India. 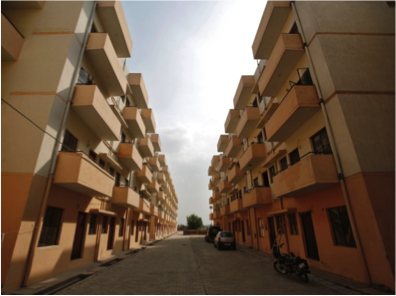 Intended to serve the Economically Weaker Sections (EWS) and Low Income Groups (LIG) in the society, affordable homes are being strongly promoted by the Indian Govt. and builders alike. However, herein lies the risk, and as a buyer of an affordable home, you must do your own due diligence. While the below factors apply equally to mainstream projects, they are even more important in an affordable home project for various reasons, as explained. Reputation: Is the builder a reputed Realty house? Are they into both mainstream homes and affordable homes? How many affordable home projects have they created before this? If the builder is relatively new and unknown, who are the promoters? In small-sized affordable projects, margins are lower, so it can attract the wrong kind of people as promoters and investors. Titles & Bank Loan: Is the project being conceived on a disputed land? Ensure titles are clean and clear. Consult the local sub-registrar office or a property lawyer to thoroughly examine the papers. Are banks providing loans for the project? Location: Most of these projects are located on the outskirts to keep the costs low, so it is important to check quality of the neighborhood, as well as distance from the city centre. Road Network: As a direct consequence of the above, are the roads leading to the project, and surrounding areas, motorable? Have they been provided by the municipal body, or is it a temporary provision from the builder? This has an impact on quality of the road. Transport: Does the city municipal body provide bus transport to the locality? If no, how far is the nearest bus stop? This has a direct bearing on the safety and convenience of residents. Common Areas: In order to keep the cost per unit low, builders tend to restrict the common areas in such projects. You need to observe the restrictions, as beyond a certain extent, they can affect the quality of daily life at the project. Amenities: Although not comparable to mainstream projects, some amenities like security, power backup, lifts, and vehicle parking are mandatory at these projects. Maintenance cost: If the purchase cost of the project has been kept low, has it been compensated by charging a high monthly maintenance charge? While purchasing a home in any project needs its own share of due diligence, an affordable home can be fraught with more risk, so buyers must spend more time investigating the project. Else, lakhs of rupees of hard-earned money can go down the drain. The earthquake that struck Nepal and surrounding regions on April 25th and May 12th, 2015 shook more than the earth’s surface. It shook the confidence of residents in hundreds of buildings all over the quake-affected region, across six nations. Buildings in this region, both modern and historic, collapsed or developed irreversible damage during the quakes. 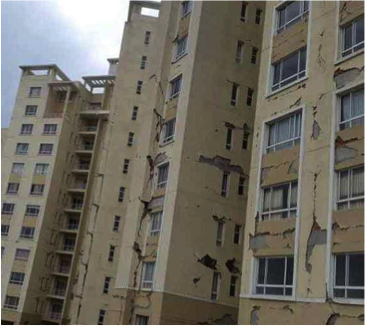 Thanks to the quakes, buyers in India have become cautious and are evaluating a property for its earthquake resistance. The Bureau of Indian Standards has established several norms for earthquake resistant design of structures, in India. As a prospective buyer, you can ask your builder to share information on whether these norms have been followed while building the structure. You can also engage the services of a structural engineer or professional agency and get an evaluation done. In addition to this, there are several small details that you can notice, which have a bearing on the earthquake-resistant capacity of a structure. Shape of the building(s): The plan of a building should be ideally composite in shape like a square, rectangle, circle, or oval. Buildings in the shape of H, V, L, Y or U are less resistant to quakes. Fancy elements: Multiple structural elements that are not tightly integrated with the overall frame of the building are more prone to collapsing during a quake. Number of storeys: The load-bearing-wall method that was in vogue during the 70s is risky. While all high-rises use the column principle which is less risky, it’s good to consider low-rises (less than 3 storeys) only if they have been built using columns or framed structure. Size of openings in the wall: High-rises that have large openings in the walls for doors and entrances are more at risk. Staircases: Cantilever staircases and externally overhanging staircases are more at risk. All stairs must be horizontally integrated with the overall frame of the building. Information on the use of earthquake-resistant elements like horizontal seismic bands, vertical reinforcing bars, core shear walls, pile lengths in the rock, mass dampeners, base isolation techniques, etc. With time, Indian cities will only get taller, so it becomes all the more imperative to follow earthquake-resistant design in construction. While evaluating a property for purchase, buyers must do their due diligence; else, the consequences can be grim and tragic. In the last few years, one of the features that Realty companies like to highlight in the features section of their projects is the use of low-VOC paints for interiors. This is a healthy trend and must be welcomed by home buyers and regulatory agencies. Volatile Organic Compounds (VOC) are harmful hydrocarbons such as Xylene, Formaldehyde, Acetone, Toluene, Benzene, Perchloroethylene, Methylene chloride, 1,3- butadiene and Ethylene glycol among others. These are found in Building Materials and Homecare products such as Paints, adhesives, Solvents, composite wood products, sealants and wall putties, fabrics used in upholstery, varnishes, vinyl floors, wood and floor polishes, air fresheners, air cleaners, cosmetics, cleaning and disinfecting chemicals, etc. VOCs have been used in Paints for interiors, since day one. Paints are composed of pigments, binders, solvents, and additives required to keep the paint resistant from climatic impact. Of these, solvents use VOCs extensively, to bind the binders and pigments, and to ensure the paint dries quickly. However, extensive research in the last decade or so has shown that VOC-based paints can cause headache, burning sensation, liver damage, kidney failure, cancer in different parts of the body, and a host of mental disabilities for the residents of the house. Only 40% of the VOCs in the paint evaporate in the first few days of the painting being done. The remaining evaporates slowly over several years posing a great health risk to residents. VOCs are also harmful to the environment as they trap heat and accelerate global warming. If your builder is not offering low VOC paints for your interiors, you can demand the same, or have your interiors painted by a third party. This will go a long way in ensuring sound physical and mental health for you and your family. 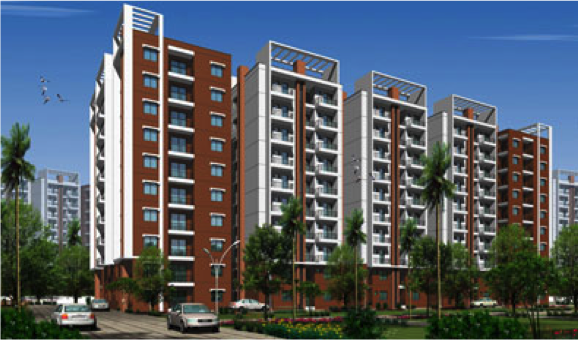 Affordable housing is emerging as the best thing to have happened to the Indian home buyer in the last 2 decades. Depending on the location, amenities provided, and construction technologies used, these homes are affordable to a larger cross-section of the working class than what exists today. Now, the Reserve Bank of India (RBI) has eased norms for availing a home loan on an affordable home. Typically, stamp duty, registration and documentation charges add up to another 15% of the property value. Now, RBI has allowed Banks to include these charges in the overall property value, while disbursing a loan, as long as the property value does not exceed Rs. 10 lakhs. RBI made this announcement in March 2015. Last July, the RBI helped ease investment or bank lending in the affordable home sector. According to the RBI communiqué, home loans to individuals up to Rs 50 lakh (for houses of value up to Rs 65 lakh) in metros, and loans up to Rs 40 lakh (home value Rs 50 lakh) in Tier-2 or Tier-3 cities will be considered as affordable housing. Thanks to this, banks can now float infrastructure bonds up to seven years. The money raised this way will not attract the typical requirements around CRR (cash reserve ratio) and SLR (statutory liquidity ratio). All this has a cascaded effect on increasing the availability of affordable homes. Well, how does this affect you, if you are in a much higher affordability bracket? For one, you could buy one or more affordable homes as an investment option. Secondly, if you are a business owner, you could create policies that encourage your employees to buy an affordable home. This is a valuable perk that can go a long way in attracting and retaining talent. Why pre-approve your home loans? Home Loans have emerged as the most reasonable funding option for home buyers. Buyers from both the salaried class and the business class (who have filed IT Returns in the last five years) are eligible for home loans, making it easy for anyone to buy a home. The home loan is typically availed when one has decided on their dream home or perfect property. The process can then throw up several surprises about the eligible amount, depending on the buyer’s profile, desired amount, presence of a co-applicant or not. At times, the buyer may have to reconsider his/her options and look at a lesser priced property, creating a slight emotional setback. One way of avoiding such an eventuality is to have a pre-approved bank loan ready and then go scouting for the best property option. Pre-approval involves a pre-qualification process wherein the lending bank analyzes all the data related to your past and present debts (by looking at your bank statements and your CRISIL or credit worthiness report), your repayment track record, your credit card statements, sources of income, salary slips (or bank account statement in case of businesses) and IT returns for three or more years. These data is run through a software that derives the loan eligibility amount. The same is mentioned in a pre-approval letter that is given to you. The letter states that you can avail the loan whenever you desire. With this in hand, you can choose your property options after factoring the down payment you must make. The most important advantage of pre-approving your home loan is that it saves you enormous time during purchase. This gives you enough time to examine similar options without being rushed by the seller. That is why pre-approval is becoming very popular with younger buyers. In India, Home Insurance is rarely mentioned in any discussion around protection or investment. This is surprising considering that India is highly prone to natural disasters. 60% of its land area is prone to earthquake and 9% to cyclones, hurricanes and floods. One sees everyday in the press and Media, news about accidents that have hurt the structure of a home. And, unfortunately in the last decade or so, India has consistently been on the radar of terrorist strikes. The resulting damage can have varying levels of impact. While fires can damage the furniture and carpentry, water seepage from pipe-bursts can hurt the ceiling and walls. 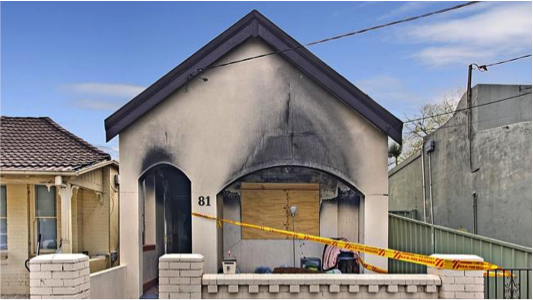 Earthquakes, bomb – and gas cylinder – explosions can cause cracks in beams and columns necessitating a reconstruction. Yet, home insurance is given very little importance in India considering the extent of construction that exists, or is happening everywhere. One of the wrong perceptions is that it’s expensive. On the contrary, it’s actually the cheapest among all forms of insurance. The cost roughly comes up to Rs. 50 per 1 lakh of the cost of reconstruction of the property, or roughly between Rs. 1500 to Rs. 3500 of premium every year depending on the area of the property. For damage to contents of the home worth Rs. 10 lakhs, the annual premium costs Rs.250. Yet, both these are quite comprehensive and cover: fire, lightning, storm, flood, landslide, earthquake, vehicle impact, rioting, arson, pipe bursts, tank bursts, burglary and breakage. One can also enlarge the cover to include terrorist acts and damage from appliance use. Remember, the resale value of your home can fall drastically if it has incurred damage any time. In contrast, the premium to be paid to insure oneself aganst such an eventuality is a pittance! Buying Pre-owned properties: Reward or Risk? Upfront cash payments: The original buyer must pay capital gains tax on the appreciation in this duration. To prevent this, be/she often demands cash payments. This can be a steep amount for the new buyer if original buyer has paid say 60-70% of the cost already. Transfer Fee: To prevent such sales of pre-owned properties, some builders levy a transfer fee of either 10% of the total current value of the property, or a fixed amount per sft. This may be added on to the new buyer’s cost unless clarified upfront. Bank Loan: If both – original and new buyers have a bank loan against this property, the banks concerned allow for a transfer of the documents, ownership and loan. However, one must be clear about the process, the timelines and charges involved. This includes penalties for late payment of the EMIs. Validity of Titles: Builders provide original documents of the property only upon payment of a small fee. However, a few unscrupulous builders even show forged documents to pass off properties in projects that have a problem. It’s good to hire a property lawyer and pre-empt such situations and study the documents thoroughly. Pre-owned properties may be a good option for people with tight finances. However, not doing a due diligence can turn out to be messy and a costly affair in the long run.